Vinyl is alive and well in the high-end with sales up for both software and hardware. 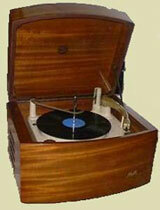 If you own a turntable system chances are that you are not using it with a subwoofer. The one real benefit of the CD is its immunity to acoustic and mechanical feedback. In the old vinyl days we had to pay real attention to the room especially if it had wood floors. The whole room could go into oscillation if the volume wasn't kept under control. This problem wasn't being caused by very low bass but audible bass, efficient woofers and inexpensive turntables with a typically high arm resonance frequency. No you really can't close the lid on turntable feedback and it doesn't matter if your vinyl system is mid-fi or really good, it would benefit from extended bass that won't interact with the arm to muddy the quality or cause the arm to jump on occasion. The driver in a TBI™ Bass Extension Module is completely shielded from the effects of low frequency reflections, is loaded to infrasonic frequencies and is aperiodic in its operation. These qualities favor turntable operation because even the finest of vinyl will have an occasional warp or acoustic feedback energy transmitting subsonic information to the subs. While subsonic filters may be employed their effect is to emasculate the foundation that you are trying to achieve. There has never been a combination of room reflection isolation, extension, subsonic control, speed, size and flexibility of placement in a bass extension product. These are all attributes that are required for vinyl and bass extension to take advantage of each other. Now the compromise is over as the TBI™ Bass Extension Module will track a records warped surface and not stimulate arm resonance as the typical subwoofer would do, in essence making an already difficult proposition enjoyably possible. So go ahead give your vinyl the bass extension that it needs.